I enjoy shopping for props for my blog (I hope you like looking at them) and sometimes they trigger a light bulb moment. I saw these popcorn boxes at Clas Ohlson and thought they were just too cute. 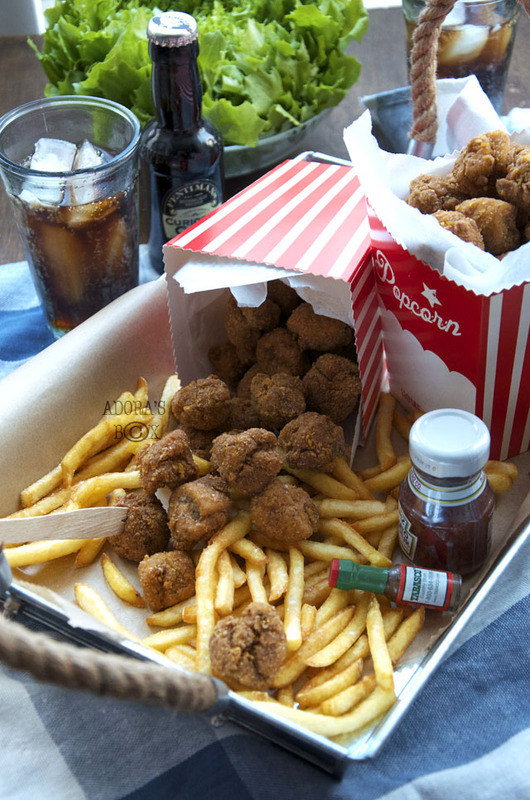 The first recipe that popped in my mind was popcorn chicken. Why not? 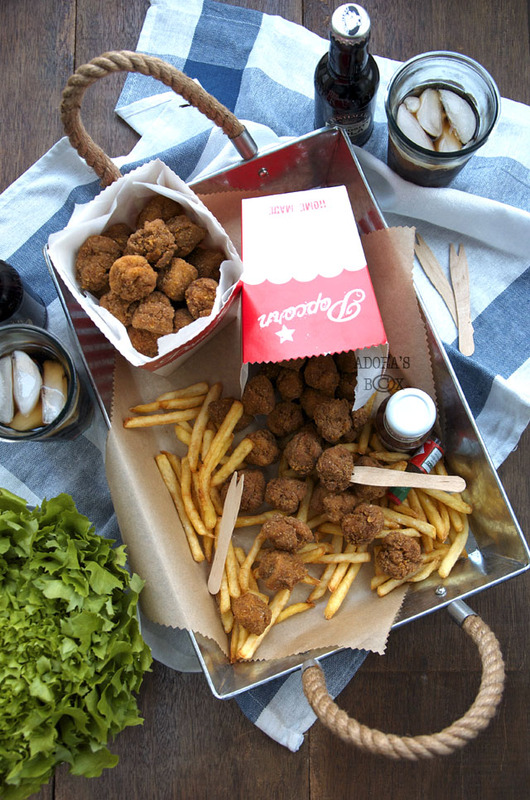 Ready-to-pop-in-the-mouth finger food is so fun. This is not an just an exercise in having fun with food. As you know, I do take my food seriously. 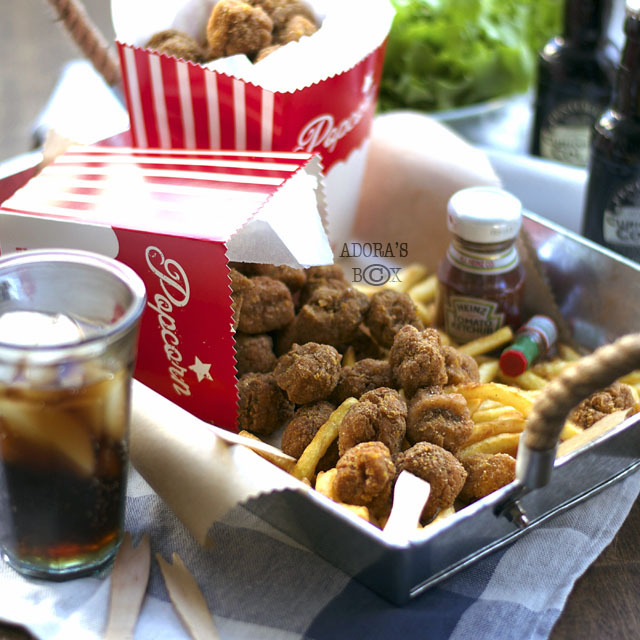 Although Colonel Sanders has great popcorn chicken, I want to make popcorn chicken that Mum's would happily serve their kids. I opted for skinless chicken thigh meat for better texture and flavour. The crumb mix is extra crispy thanks to crushed corn flakes. I added wholemeal flour for more flavour (also a good way of sneaking fiber into unknowing kids diet). 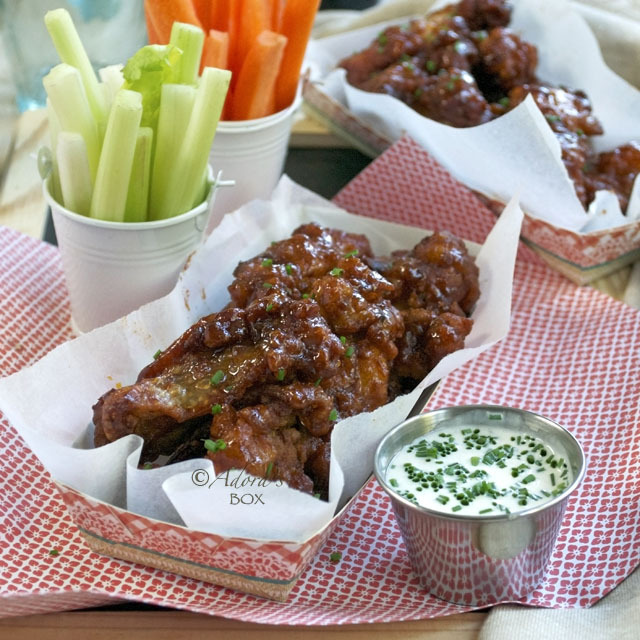 The spice mix, of course, is the reason why I recommend this recipe. The testers (my own children, picky in taste, biased in opinion) preferred this to KFC's popcorn chicken. This recipe is very easy and cooks fast. 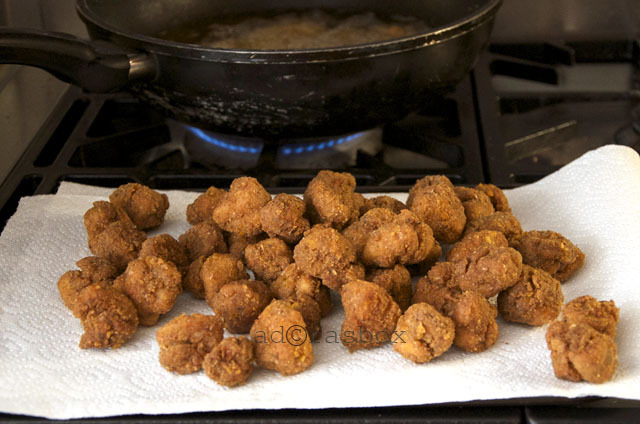 Although I fried these popcorn chicken, they could also be oven baked. 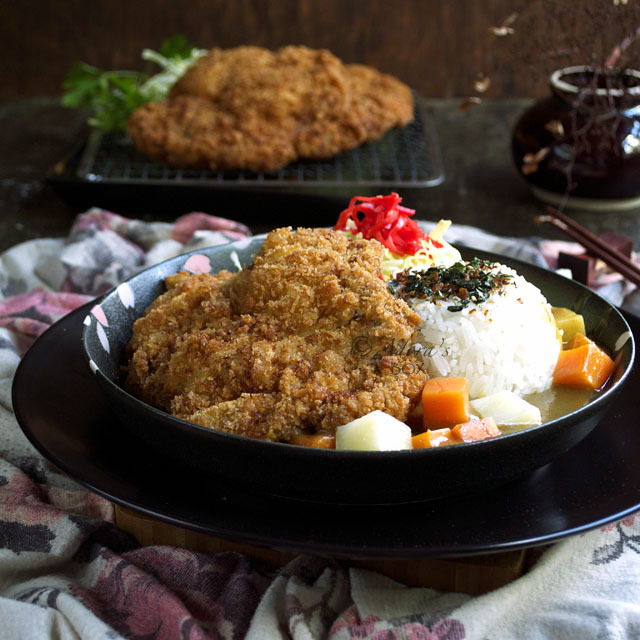 The recipe could also be used for chicken (or any meat) cutlets. Put all of the ingredients in a mixing bowl and mix very well. Leave aside for half an hour. In the meantime, prepare the crumb mixture. 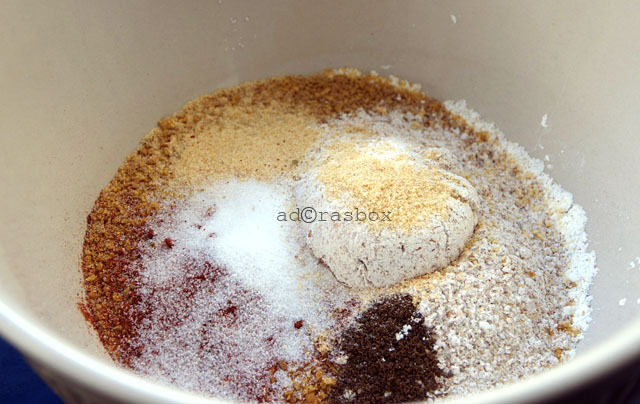 Mix the flour and seasonings together in a large mixing bowl. 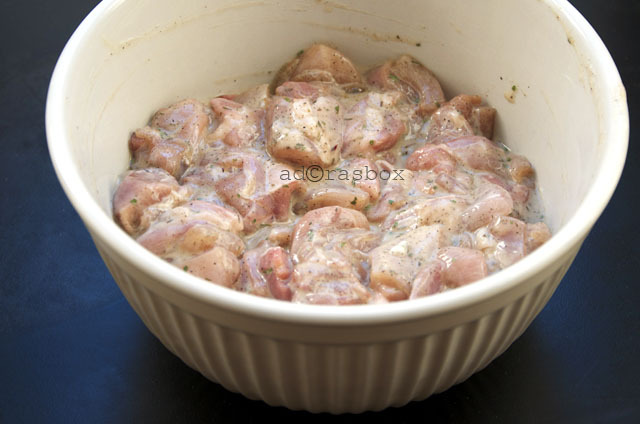 Drop a few pieces of the seasoned chicken into the crumb mixture. Stir to coat very well. 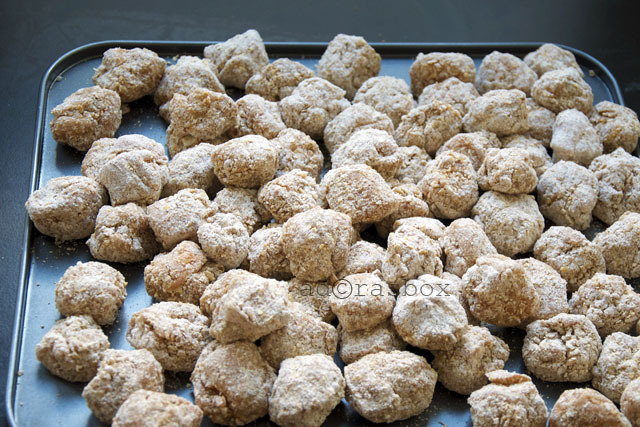 Scrunch each piece of crumbed chicken into a ball as you take it out of the mixing bowl and transfer to a tray. 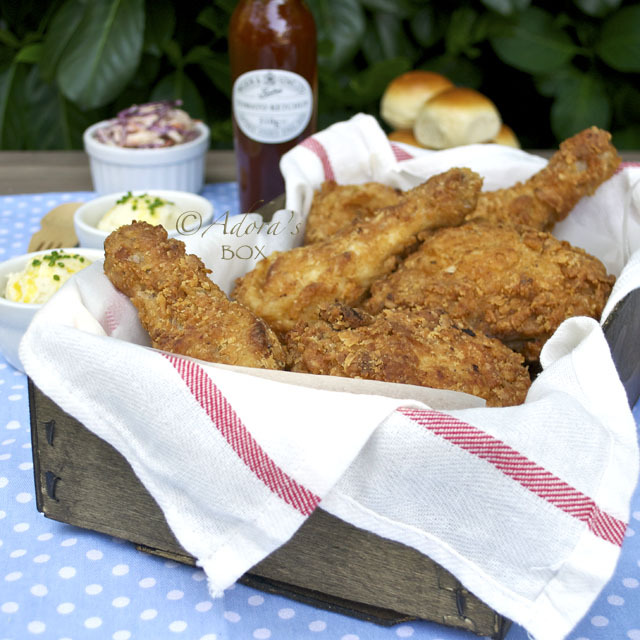 Leave the prepared chicken pieces aside for about half an hour to let the coating set. Add in enough oil for deep frying. When the oil is hot, add in a few pieces of chicken at a time. 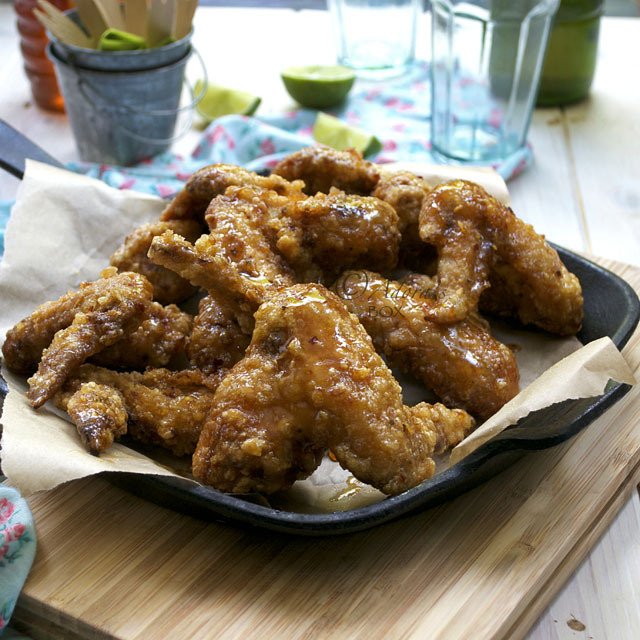 Fry for 3-5 minutes per batch on medium low heat, until full cooked, browned and crisped. Transfer to a kitchen paper lined tray to soak up excess oil. 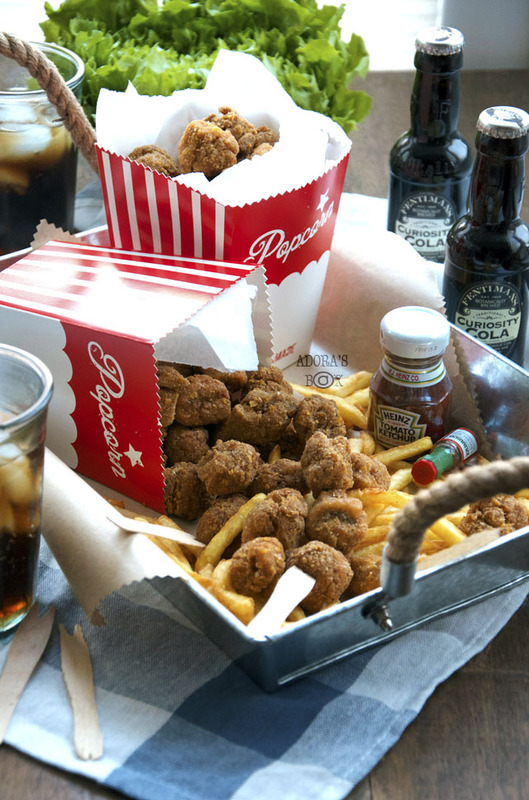 These popcorn chicken can also be baked in a pre-heated oven (400° F/200° C) for about 20 minutes. Drizzle with oil before baking. Test for doneness before taking out of the oven.